Medical Malpractice Help » Medical Malpractice Causes » Legal Information » What Is NICA, The Florida Birth Injury Program? What is NICA, the Neurological Injury Compensation Act? Florida is one of two states that have created a special program for children that were injured during child birth. The Florida Birth Related Neurological Injury Compensation Act (NICA) allows families to receive compensation for injuries that occurred to the child during labor, birth, or the immediate period after birth referred to as the resuscitation period. Under NICA, parents do not have to prove fault, only that the injury occurred at that time. To qualify for a NICA claim, the obstetrician must have been a member of NICA at the time of birth. The injuries that were sustained must meet the guidelines of the Act, and have occurred during the birthing process. Parents must file an administrative claim through an attorney to seek damages under this Act. Parents will be reimbursed for medical expenses, custodial care, hospitalization, special equipment, prescription medicine, travel expenses, and attorney fees. Parents may receive up to $100,000 in additional compensation. You cannot make a claim under this Act for loss of future wages, pain and suffering, or loss of the ability to enjoy life. It should be noted that when you make a claim under NICA, the compensation will not cover anything that is already covered by your personal insurance or Medicaid/Medicare. With this in mind, many people that file a NICA receive very little assistance. Parents may also opt to file a civil lawsuit for medical malpractice instead of using the NICA program. 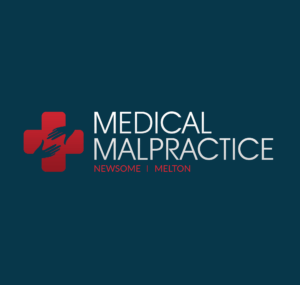 A consultation with a malpractice attorney will provide you with the accurate information necessary to make an informed decision on which option better suits your needs. A one-time cash award, not to exceed $100,000, to the infant’s parents or guardians. A death benefit for the infant in the amount of $10,000. Reasonable expenses for filing the claim, including attorney’s fees. Q: What does NICA mean? Q: Is my child covered? A: If your physician is a participating physician and your child is born in a hospital, your child may be eligible for NICA. Florida law defines the birth-related neurological injuries for which NICA coverage is provided, and the final decision on whether a child is covered is made by an Administrative Law Judge. Please use the link provided on this website to review Sections 766.301-766.316, Florida Statutes. Q: How do I know if an obstetrician is a participating physician? A: Generally, all doctors and hospitals are required by law to inform obstetrical patients by providing a brochure which explains the program. You can see a list of current participating physicians on this website. Information for earlier years is available from NICA. Q: How much does it cost to file a petition for benefits? A: There is a $15 filing fee, payable to the Florida Division of Administrative Hearings. Q: Is there a time limit on filing a claim? A: Yes. The petition must be filed by the child’s fifth birthday. A: The child’s legal parent or guardian must file the petition. A: Choose the form on this website which fits your situation, fill it out on-line and print it, or print it out and fill it in. If you have difficulty understanding the form or need assistance, contact NICA at the toll free number, (800) 398-2129, and we will assist you in completing a petition. Also, see Section 766.305, Florida Statutes. Q: Where do I send the Petition? Q: Do I have to provide medical records? A: Yes. All available relevant medical records must be provided by the petitioner. If you need assistance in how to obtain the medical records, contact NICA at the toll free number listed above.